The Karcher name in the residential, commercial and industrial cleaning machinery sectors is synonymous with good quality, precision, and high-tech German-engineering. Karcher vacuum cleaners are no different. Rosher proudly stocks Karcher pressure cleaners, sweepers, scrubbers, vacuum cleaners, and other Karcher accessories and equipment across Perth – we are your one stop Karcher shop, promising top quality residential, commercial and industrial equipment at the most competitive prices. At Roshers, we have a variety of vacuum cleaners for sale. 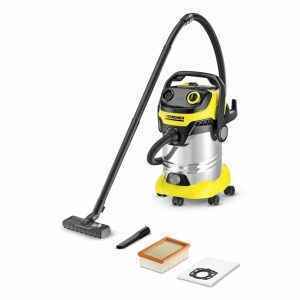 The Karcher range comprises of residential vacuum cleaners for all your home and garden needs, as well as larger industrial vacuum cleaners and commercial vacuum cleaners, for all commercial, retail, and industrial needs. Karcher’s range of home and garden vacuum cleaners range from the compact to the robust. Choose from smaller, compact units, which offer new-age efficiency in combination with innovative technology. These Karcher vacuum cleaners offer powerful, hygienic cleaning that will capture even the smallest allergenic particles. Karcher’s high-end, multi-purpose units offer high-suction performance. 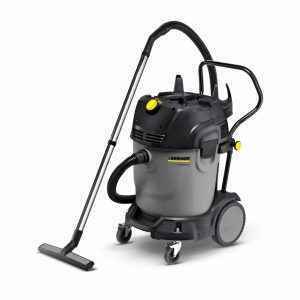 The Karcher wet and dry vacuum cleaners are powerful enough to take on any home or garden need. The professional range of Karcher vacuum cleaners offer commercial and industrial clients specifications that will meet their every need. Customers can choose from battery-operated units with rotating brushes, to steam vacuum cleaners, and adjustable telescopic broomstick technology. From fabric flooring to hard surfaces, Karcher’s range of professional vacuum cleaners will keep any surface hygienically clean, thanks to their easy-to-use, innovative technology. Visit us at our new, dedicated Karcher Showroom in Malaga today to view our full range of products. At Rosher, we’ve been in the business for over 40 years and we understand just what our clients and customers want – excellent products that do the job well, the first time. We believe the brands we sell, namely; Karcher, Kubota and Antonio Carraro, all live up to that standard and higher. For all your home, garden, office, warehouse, store, or commercial vacuum cleaning needs, call Rosher today.